Antibiotic resistance is a major health concern that kills approximately 25,000 people per year in Europe. This increasing problem is caused by several factors, including overuse and misuse of antibiotics in healthcare. Overuse and misuse of antibiotics drives the evolution of antibiotic resistant bacteria - these bacteria cannot be killed by currently used antibiotics. Bacteria Combat started off as a basic card game. Developing a card game prototype of a mobile application is really useful for testing the educational content and game content. Testing of the card game with primary school students showed compelling evidence that a game could educate on this topic, and helped Game Dr secure grant funding from University of Glasgow, Public Health England, Biochemical Society and Royal Society of Biology to develop a mobile application. The mobile game is played as a multiplayer card battle game, with each player having both ‘good’ and ‘bad’ bacteria cards in their deck. Each card has a set of traits or stats that players use against their opponent. This includes Strength, Speed, Resistance, Generation Time and Special Power. To win the game, players use their strongest stat and card to knock out their opponent! Antibiotic cards are hidden within the deck and can be used against non-resistant bacteria. This mobile game uses engaging game mechanics to showcase bacterial competition and the affect that antibiotics have on bacterial survival in the body. Bacteria Combat mobile game was released initially in 2015 and received approximately 5000 downloads on Android and iOS. The game is used in schools and universities in the U.K and US to educate students on diversity in bacteria and antibiotic resistance. Fungal Invaders is a retro mini-game designed to educate on fungal infections and the drugs we use to treat them. This exciting mobile game was developed for University of Aberdeen Fungal Research Group. The key goal of the project was to develop an interactive and immersive museum exhibition that would also include digital games played on arcade gaming machines. University of Aberdeen approached Game Dr to design an educational and engaging game that would teach players on the fascinating world of fungi. The first stage of the project involved extensive research and design; the Game Dr team focused on reviewing current scientific research in this field to design a simple yet effective game. The game concept was reviewed by scientists, public engagement professionals and students at Aberdeen and was approved for development. The team then focused on developing a prototype game that was tested with users and stakeholders to assess it’s educational content and engagement factor. The prototype was then developed into a digital arcade style game called Fungal Invaders, a battle shooter game that allows players to defeat different fungi by using different anti-fungal drugs. Fungal Invaders was exhibited as part of an educational museum exhibit called Killer Fungus, that was installed at Aberdeen Science Centre, Royal Society Summer Exhibition and Manchester Science Festival. The mobile games were also published on Apple and Google Play application stores and are available for free download on iOS and Android devices. The majority of microbes are non-harmful, with many being beneficial to the human body. For example, many fungi live in symbiosis with the human body as part of our microflora. However, some fungi may acquire special genes that allow them to carry out damaging functions and cause infections. Examples of this include Candida albicans which acquires genes to help it hide from the immune system and cause inflammation. To visualize this amazing process, a mobile game was developed for University of Aberdeen to be utilized at science festivals and public engagement events. The aim was to educate players on different strategies fungi use to cause infection in the human body. The project followed the Game Dr methodology and involved research and development, prototyping and testing and mobile game production. To showcase the dynamic nature of microbes, the team designed a fast-paced, adventure game where players travel along the bloodstream and interact with different immune cells. Players must use different fungal traits and functions to knock out the immune cells and travel long distances. A critical component of the design phase was selecting special fungal traits for the game. Through close collaboration with University of Aberdeen Fungal Research group, the team identified several genes expressed by fungi that could be effectively gamified. These included toxin production, shield production, decoy release and stealth. Killer Fungus: Evolution was prototyped and completed in eight short weeks. Game Dr look forward to carrying out further development on the game. Killer Fungus: Evolution was released for iOS and Android devices through publication on iTunes and Google Play stores. The game was showcased at Royal Society Summer Exhibition in 2016 as part of of the Killer Fungus exhibition. 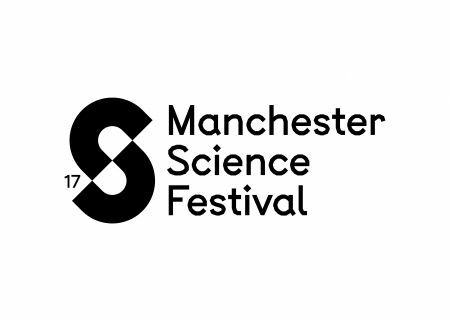 The game was also showcased at Manchester Science Festival 2017 and was played by approximately 1300 visitors.